Showing a luxury home may not seem very difficult, especially considering most of them are already designed to be impressive at first sight. But there are ways to better highlight its best features when showing in the hopes of better offers. The market may be a fickle friend to sellers depending on a number of unpredictable variables, but there are plenty of decisions you do have total control over. Use these tips before deciding on a strategy. Homeowners looking to make luxury home improvements that offer a great return on investment and simply make their home a ‘cooler' and more modern hangout may seek out a few high-end luxury improvements to command opulence in their homes. Here are five innovative upgrades that can be incorporated into most home's decor to add flair, whether it's to enjoy or as part of staging to sell. A down payment for a luxury home can be daunting, even to those who consider themselves to financially comfortable. However, planning ahead when it comes to the down payment is the best way for a buyer to save money on their investment, so keep these tips in mind before deciding on how much the down payment should be. A luxury home mortgage and a conventional home mortgage have several key differences that buyers should understand before going through with the sale. These differences shape how a lender views the applicant, how long it takes to approve the loan, and what options a buyer should consider. Learn more about how to structure a luxury home mortgage before finalizing the numbers. Luxury home sales can often exceed everyone's expectations, especially if the property is located in a high-demand area. The rules of bidding wars are radically different when it comes to wealthy buyers, which can make the appreciation of a home's value go through the roof. Capital gains for home sales are not the same as capital gains for stocks or other common assets, and sellers should understand the rules, whether selling in a community like Tuhaye or Red Ledges, long before they ever put up a for-sale sign. The smell of fresh linens, the sight of original artwork, or the sound of a gentle fountain are all ways to make a luxury house look like a home to a potential new buyer. While staging is important with all homes, it's luxury homes that usually see the biggest differences when it comes to getting offers. It's a form of marketing and branding that buyers have come to expect before deciding on the home for them. See how to make your Promontory home come alive with the right staging. Luxury homes in real estate have slightly different rules than an average residence, whether these rules are explicitly stated or understood by both buyers and sellers. Luxury homes are not only larger than other homes, they often include complicated characteristics and systems that need to be thoroughly verified before moving forward with a home sale. Before a buyer decides on an inspector, they need to verify that they have specialized knowledge of luxury homes. Learn more about what to look for before hiring an official inspector. *We listed and sold this condo in 6 days! It's that time again to report on the most significant sales we saw in Park City, UT in 2014! With the market continuing to rebound we saw a number of significant sales occurring throughout Park City and Deer Valley. It's not surprising that these sales are taking place within Deer Valley and in The Colony at White Pine Canyon located at The Canyons. With the Vail takeover of PCMR and Canyons, The Colony will continue to have sales making the list as more of the rich and famous purchase luxury homes in this area as they explore outside of Deer Valley. If you're doing business in the luxury market you need experienced agents who are familiar with doing large transactions in this marketplace. Learn more about The Fisher Group, or call 435-962-0192. 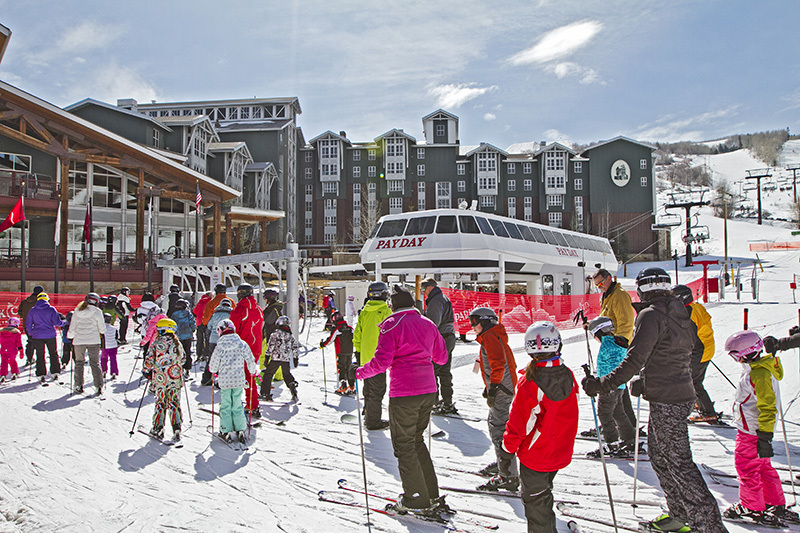 Vail Resorts to Invest an Unprecedented $50 Million in Park City Mountain Resort in One Season and Create the Largest Ski Resort in the U.S.